Imaging Site: My front-yard in San Diego, Ca. Today was another one of those rare mornings that we didn't have the marine layer, so took advantage of the steady skies just after sunrise before the Sun starting heating the rooftops up. 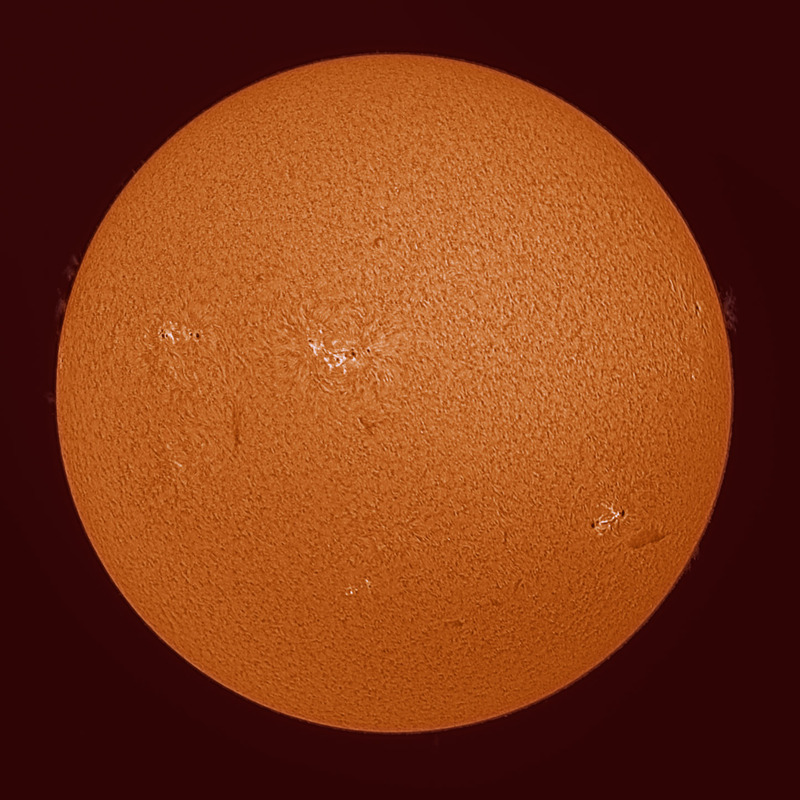 Scope and f/: Lunt LS100THa (Hydrogen-Alpha filtered) with BF1800 at f/7. The DSII (double stack filter) is not installed. Camera: Point Grey Grasshopper Express (GX-FW-60SM-C) monochrome video camera with a ICX694 sensor. Camera is operating in 2736x2192 Format 7 mode with hardware ROI set to 1904x1902 to maximize the FPS. Number of sub-images and exposure: Stacked 141 images from the 251 frame captured video.